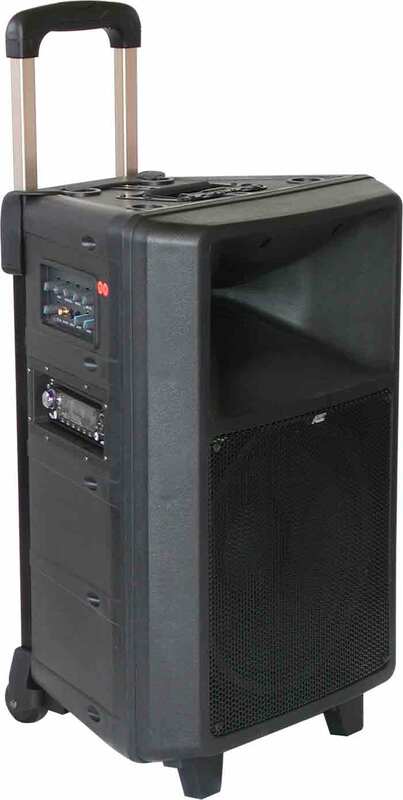 The Audio2000'S® AWP6404 Pull-N-Go All-In-OneTM wireless PA system with rechargeable batteries is a portable self-contained PA system containing a retractable dolly, 20AHr rechargeable batteries, a vibration resistant CD player, a dual-channel wireless microphone system, a built-in amplifier and a speaker. 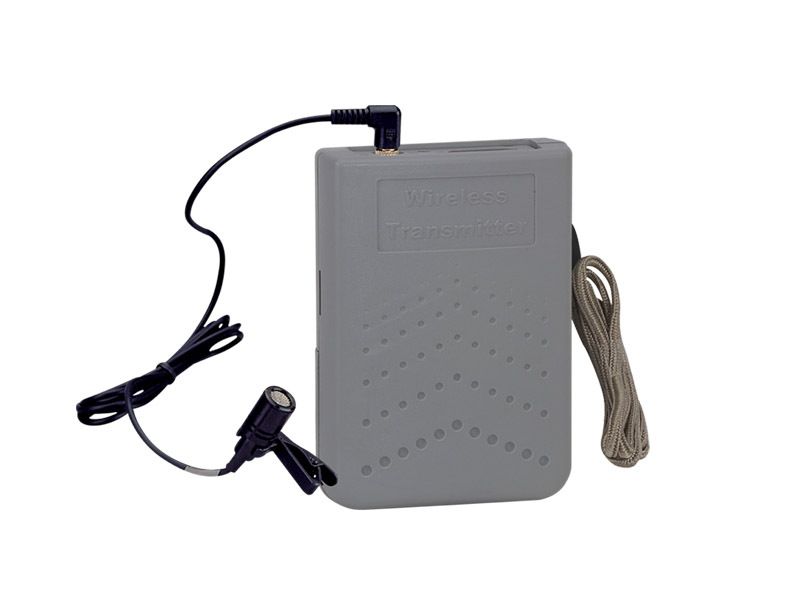 The above wireless microphone system includes a handheld microphone, a belt-pack wireless transmitter, a headset microphone, and a lavaliere microphone. 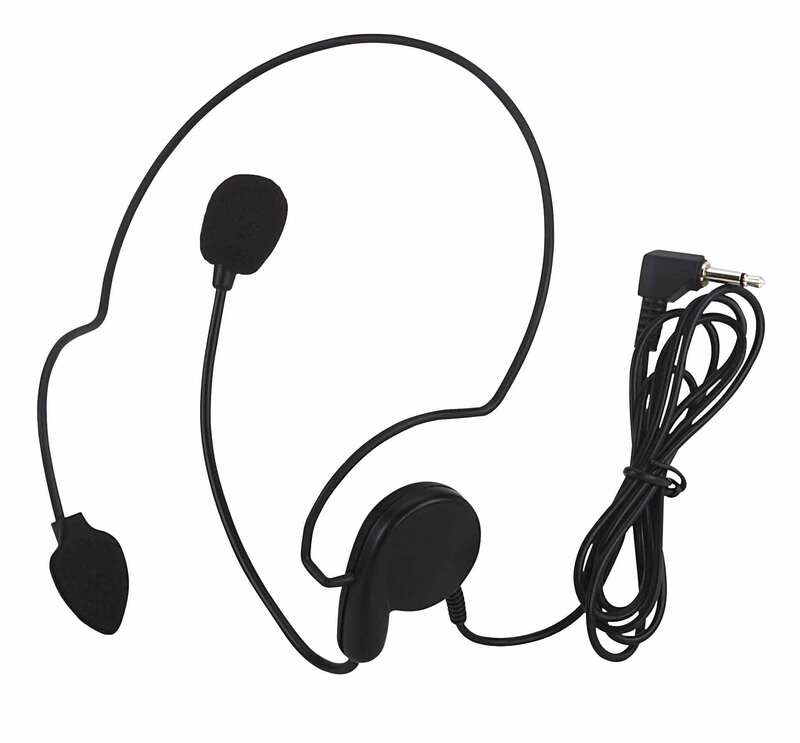 The built-in anti-shock CD player allows the users to play music or other sound effects for their particular applications. 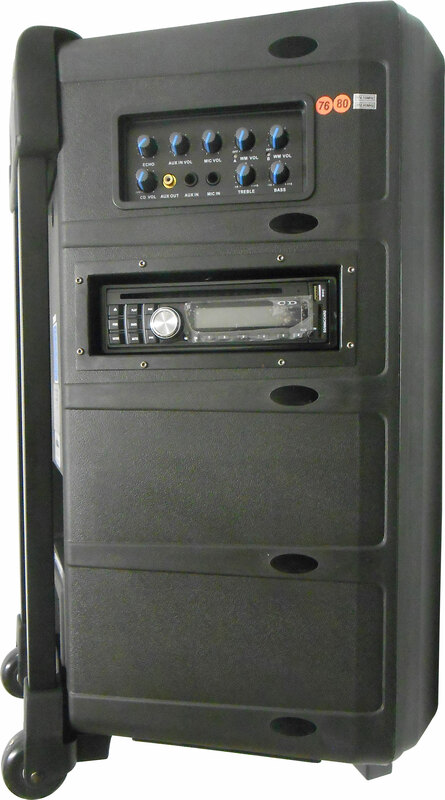 An AUX input connector and an AUX output connector are provided to have the AWP6404 be able to be used with any other PA or audio system. 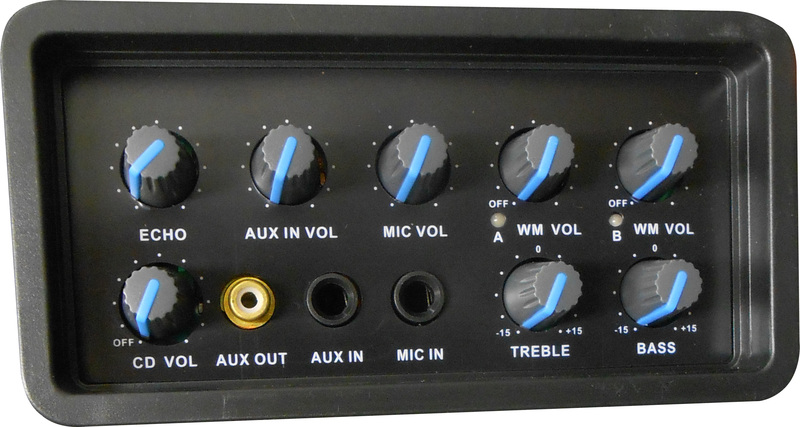 One 1/4 connector is provided to be used as an electric guitar input or a microphone input. The combination of the built-in amplifier and the speaker of the AWP6404 provides 120W maximum power output to achieve effective PA applications. 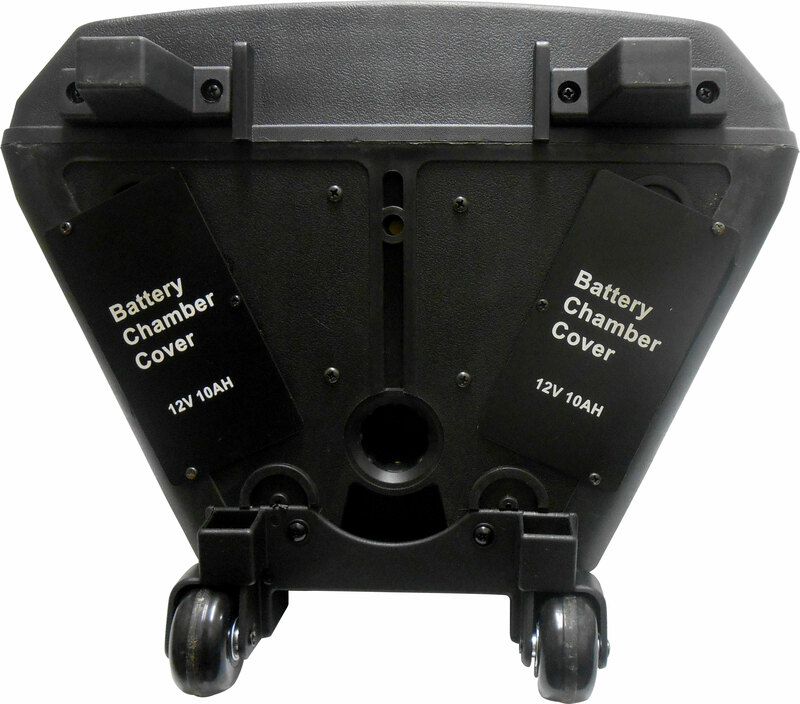 A dust cover is provided for keeping the unit clean. A heavy-duty accessory carrying bag is provided for storing all accessories. Overall, the AWP6404 is designed and manufactured to be a versatile, user-friendly, convenient and reliable system.